“Organic” and “natural” foods seem to be all the rage these days. But why should you eat them? And is it all just all a scam? The USDA strictly regulates products labeled as “Organic.” This label guarantees that the vegetables, fruits, meat, eggs and dairy products are free of artificial agents; like growth hormones, pesticides, antibiotics, synthetic fertilizers or other chemicals you would never want near your food, let alone in it. If the product has been created using irradiation or bio-engineered Genetically Modified Organisms (GMOs), it cannot be labeled as Organic. 1) It contains little to no harmful chemical or artificial substances, which would otherwise be detrimental to your health. The non-profit organization, EWG, performed a study researching which types of produce carry the highest levels of pesticides. Topping the list were- peaches, apples, sweet bell peppers, celery, nectarines, strawberries, cherries, pears, imported grapes, spinach, lettuce, and potatoes. Consuming at least these 12 types of produce as “Organic” may limit pesticide exposure. 2) The produce is fresher. Organic produce is purchased much closer to its time of harvest because it does not contain any preservatives added to extend its longevity. 3) Organic produce is about sustainability of the farming process. It supports the farmers and the land that is used to grow it, making for much cleaner growing conditions and more sustainable farming practices. Animals are cared for, unlike the harsher conditions of many other commercially raised animals. 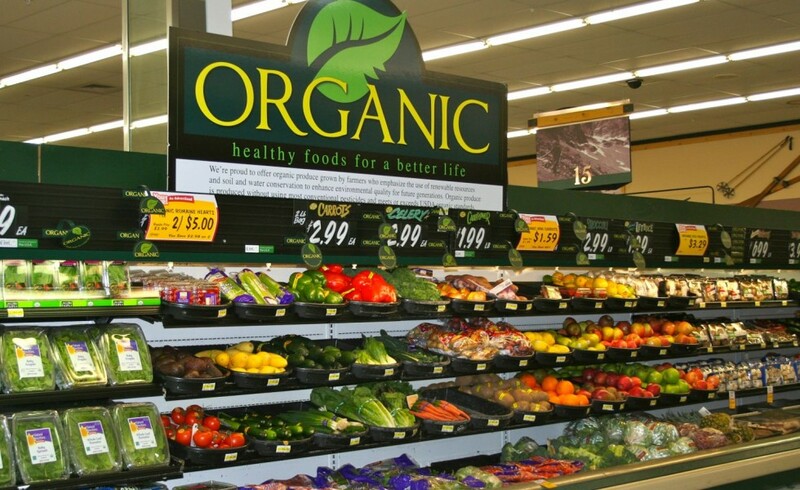 Look for this label when shopping for Organic foods at your local supermarket. Only foods that present this label are guaranteed by the USDA to be 95-100% Organic. Meat labeled as Organic can only come from animals that have received only Organic feed. They also must not have been fed any animal by-products; which is common with commercial meats and is also an any easy way for microbial diseases to spread through an animal population, and consequently into your food. Eggs may be labeled as Cage-Free, Free-Range or Organic. Use of the first two labels are hardly regulated by the USDA. Cage-Free only means that the animals spend some time outside of their normally crowded cages. Free-Range means they must have some access to the outdoors, but most stay inside for fear of the unknown anyway. Either of these are better than none, but Organic is strongly preferable to both. 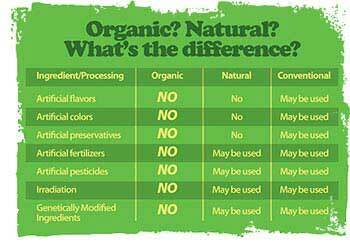 Organic guarantees free-range but it is superior for reasons listed in preceding paragraphs. And keep in mind that Cage-Free or Free-Range does not necessarily also imply Organic. Food labeled as “All Natural” can mean anything. This label is not nearly as regulated by the USDA, unlike the term “Organic.” This food may contain pesticides, GMOs, growth hormones and many other potentially harmful substances. All in all, the price tag for Organic products may be a bit higher. But if you can afford it, you will be benefiting your health and the environment in the long run. Crystal Smith-Spangler, Margaret L. Brandeau, Grace E. Hunter, J. Clay Bavinger, Maren Pearson, Paul J. Eschbach, Vandana Sundaram, Hau Liu, Patricia Schirmer, Christopher Stave, Ingram Olkin, Dena M. Bravata; Are Organic Foods Safer or Healthier Than Conventional Alternatives?A Systematic Review. Annals of Internal Medicine. 2012 Sep;157(5):348-366. Greenaway, Twighlight. “Organic food might not be more nutritious, but you should eat it anyway .” N.p., 5 9 2012. Web. 13 May. 2013. <http://grist.org/food/organic-food-may-not-have-a-big-nutritional-edge-but-how-much-does-that-matter/>. “Organic Food.” n.pag. Natural Standard. Web. 13 May 2013. <http://www.naturalstandard.com/databases/animalhealth/all/organicfood.asp?>.